I will be the first to admit it, I LOVE TECHNOLOGY... That is, when it works the way it is supposed to. But, man, if our Internet goes down or my phone starts acting up, I can throw a mean tizzy! Two Septembers ago I saw a cute Avengers Ugly Christmas Sweater on zulily. 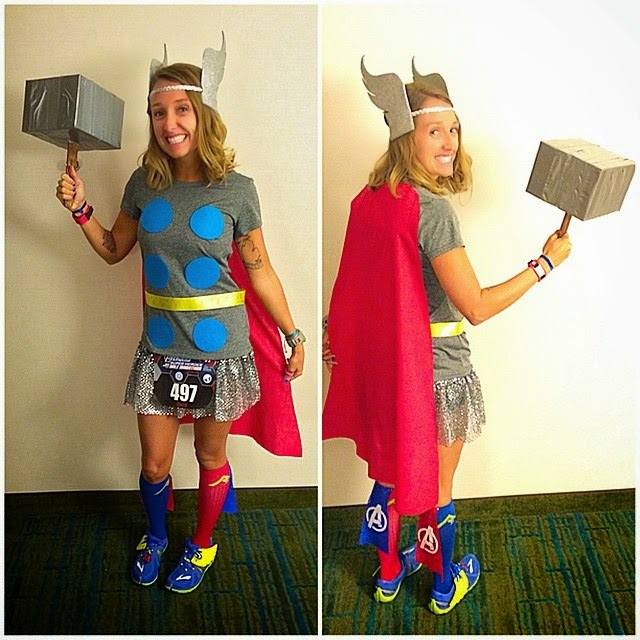 I thought it would be PERFECT for the runDisney Avengers race so ordered it. A week or so before the race it still hadn't shipped, so I called and cancelled the order. THAT WAS THE ONLY INTERACTION I HAVE HAD WITH zulily UNTIL LAST WEEK! it wasn't the end of the world when the top didn't arrive in time. Two Sundays ago I had to work at 6am so I got up at 5:30am and checked my email. I saw one that came in around 2am from zulily saying someone had attempted to change the email address associated with my account... but NOT to worry because they deleted the payment information linked to my account. I added the asterisks so you can see EXACTLY where they said the payment methods would be REMOVED! Well, apparently that was a LIE because around 3, 3:30 and 4am I received additional emails from zulily with orders FRAUDULENTLY made on my account (using my PayPal to pay for them, which is how I paid for the original purchase that was refunded when it wasn't delivered). As soon as I saw that I logged into my PayPal account to dispute the charges. Then I called zulily to report the issue and fraudulent activity. I spoke with a floor manager who said that she would be submitting "unauthorized transaction forms" to the finance department so I could be issued refunds and have my account closed. She told me to dispute the charges with PayPal as well, to which I told her I had already started that process. Well, over a week goes by and I don't hear anything from either company... Yesterday morning I finally receive an email from PayPal. 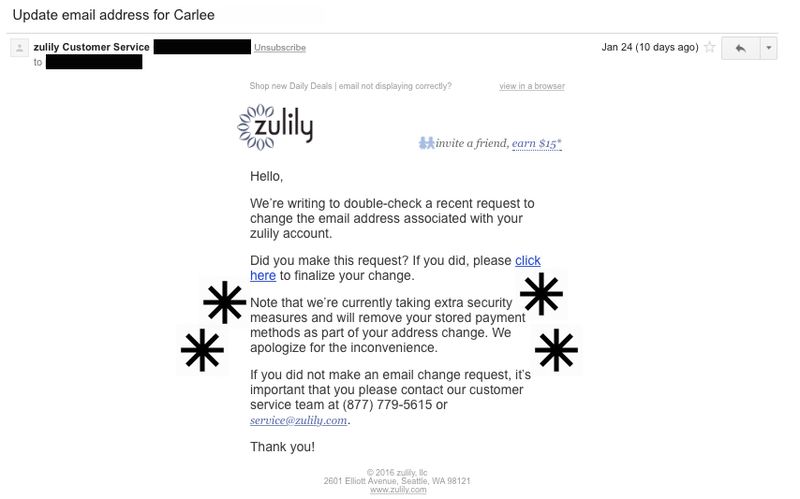 It stated that because at one point I had a legit transaction from zulily, zulily was then put on the authorized merchant list for my account and therefore I cannot claim any transactions are fraudulent (EX-SQUEEZE ME?!). Shut the front door... Because at one point I made a purchase from them, no future transactions can be fraudulent?! So then I call zulily and ask them what's going on. The associate I speak with tells me that they would never issue me a refund and that I would need to go through my bank seeing as the money was taken from my SAVINGS ACCOUNT. I told them that was NOT what I was told or else I would have been at the bank as soon as it opened last Monday morning to get it straightened out (instead I ended up having to go over there yesterday and spend an hour not only disputing the fraudulent charges but also closing the original savings account and having to open a new one). I also asked if I could speak with someone in the finance department but was told "they have done their stuff, you can't talk to them". Both companies simply point the finger at the other AND I AM STILL OUT THE $300! As of now my bank has issued me a temporary credit for the transactions while they do another investigation into the fraudulent charges. If you know me, you know I try to be as kind, level-headed and respectful, so please do not think I got on the phone and started ripping into people. I understand that there are policies and procedures in place, but I am so confused as to why you are told one thing by one person and then something completely different by someone else... Not only that, but no one is taking responsibility. Someone is stealing from ME and I am made out to be the bad guy that has to jump through all of these hoops to get my own money back... Something ain't right with that! zulily is not out the product because I called them before they shipped anything to make sure the transactions were cancelled, so they still have whatever this hacker ordered. If they still have the product, then PayPal shouldn't be refusing to refund me MY money, right?! Like I said, I have never actually received anything from zulily and now NEVER plan on ordering from them in the future. As far as PayPal, if I have a choice, I will NEVER use their services again either. Have you ever had to deal with fraudulent charges on one of your accounts? I've been on the other end of it, helping a customer resolve the fraudulent charges. It's not always an easy task, but it can be resolved in the "moment". 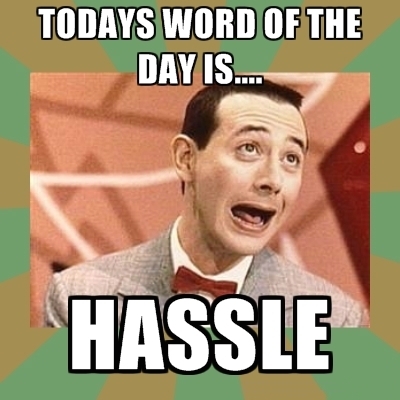 (I've done it twice and it included phone calls, emails, faxes, etc... but it's called "customer service.") I can't imagine how frustrating this must be from the customer's perspective. I've never purchased anything from Zulily but if this is how they treat their customers, I won't be buying anything from them. It makes me nervous about PayPal too- if I ordered in the past, it means it's still okay to approve the charges?! That's silly. I hope you get this resolved soon! Oh my gosh! 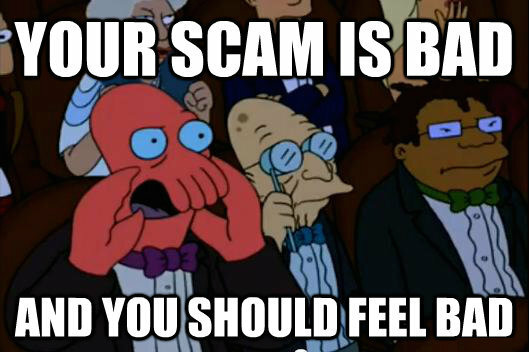 Can't you call some sort of fraud line? This is crazy! Hope it gets sorted out quickly for you! I'm wondering where all the merch was sent. They stole your info but they didn't ship it to you. I would imagine that would be a starting point for either company. Sending positive vibes this gets resolved in your favor soon. I have had probs with a few companies and now refuse to shop there. One gave me a comp issue of a magazine then gave my credit card info to the magazine company! I also have had GREAT service and tell everyone about it (COPCO is a fave - if I did sponsored blog posts I'd ring them up). The worst was when I somehow got enrolled in auto pay from a bank, so I ended up paying a bill twice and got overdrawn. After supposedly fixing it, it happened again and they refused to fix it...but it was clearly their fault. What a great philosophy...we screw up and you have to pay for it. Ugh. That's what's wrong with this world! So they cancelled the order, shipped nothing, but didn't refund the money? How does that even make sense????? I'l make sure that Zulilly is off my list of potential places to shop (and I shop obsessively online). I hope out works out for you without too much work! Oh my goodness! What a headache. I had to deal with a similar issue from Zullily about a year ago and have never shopped there again. They refused to refund me the money purchased by someone else (where my account wasn't even hacked - Zullily had messed up their account information). Luckily, I bank with Navy Federal who are amazing and so friendly when it comes to fraudulent purchases. Good luck! I hope it all gets cleared up soon! What a pain in the rear! I've had issues with Zulilly in the past. They made it right with me but only after some very vocal complaining and waiting over 6 weeks for the item to arrive (it never did). Someone needs to refund your money STAT! I'm sure they can straighten something out. Paypal is the worst. Last month, I received an email receipt from them indicating that I made a purchase at Walmart (I did not), and was told to follow the "Dispute a charge" form on Paypal's site, which I did to a freaking T. Five days later, my dispute was REJECTED!!! Luckily, the customer service at Walmart was amazing and flagged it as a fraudulent charge, but then I had to go back to Paypal, spending almost an hour on the phone trying to talk to a human being, for them to reopen my case. It was eventually resolved, but Paypal never gave me notice of it. I just had to keep checking my statements! I hope this gets resolved! I've really gotta wonder what the point of that "agreement" between your Paypal account and zulily is. Almost seems like it's pretty much designed so someone can steal your account and make fraudulent purchases with it. I'm having a similar issue, we were moving across the country and I didn't catch it as quick as you did. They stole $1,502.66 out of my Paypal balance until $126.03 went and hit my bank account (Paypal balance was gone). Then $952.66 came back in credits the remaining amount Zulily told me was $75 gift cards that they purchased. The lady spoke with her manager and they said that they deactivated the cards and nothing was spent. In short Zulily did not lose any money but they're still refusing to refund the remaining $550. Why?? This happened May 14 and it's now July 3 and nothing has been resolved. Just a bunch of false promises and hours (literally) on hold. Did you ever get this resolved? Is there some kind of legal action that can be taken? This is upsetting that they're double dipping and ADMITTING TO IT. There is a an agreement that you sign on Paypal giving companies Permission to auto debit your account when you purchase items from their site. I suggest everyone check them out. You can find it under Settings (gear icon in upper right corner) -> Security Tab -> Permissions you've given. Here you can delete these permissions so this can't happen again. This same exact thing happened to me with Zulily in August of 2018. PayPal dispute went nowhere, Zulily told me it would get refunded, filed a charge back with my bank (which costs me $25) and am still waiting. It was also $300 for us! I filed a consumer complain with my state's Attorney General office (which I know does nothing unless lots of people complain about the same company), and then started blowing up Zulily on Facebook and Twitter. That got their attention, but not to the point they did anything. They are not safe to do business with. If you want to hit Zulily where it hurts... go after their hashtag. 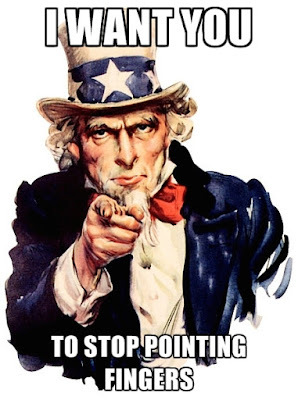 If you're on Twitter, post your complaint to them @zulily and use their hashtag #zulilyfinds - when someone clicks on their hashtag they'll see people posting pictures of the products they've purchased, but also consumer complaints. I've already seen some people doing this. Imagine if you saw an even mix of products and complaints? Bottom line: Zulily will NOT do right by you. You MUST get their attention.